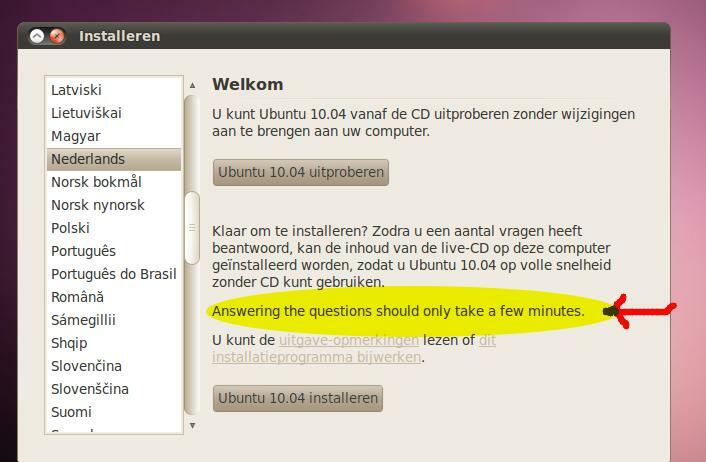 The "Answering the questions should only take a few minutes." message in the installer's initial screen appears untranslated. I tested this with Catalan, Spanish and Milo Casagrande tested it in Italian with the same result. See the attached screenshot, where the message is highlighted. The same applies when selecting the language "Nederlands"